Welcome to the first of a series of posts from the GDP Inspectorate. In the last few years the world of GDP has changed in scope and complexity and continues to evolve to meet new challenges with the continued aim of safeguarding public health. The regulatory changes constitute the largest change seen in generations with the UK supply chain being widely considered to be one of the most complex in Europe. To face these challenges the GDP team has had to interpret and implement updated regulations and guidelines. 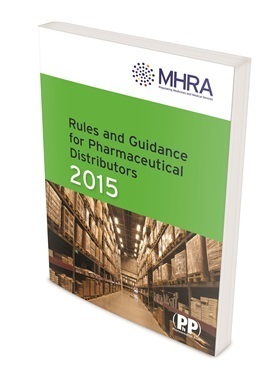 A key part of this is reaching out to and educating the wide range of stakeholders who now hold or plan to apply for a wholesale dealer’s authorisation (WDA). In 2012 the consolidation of the Medicines Act saw the repeal of section 10 (7) exemption for pharmacies. This had historically allowed pharmacies to conduct a small amount of wholesale trade in medicines without the need for a WDA. Many areas within the NHS, including hospital pharmacies, who had historically supplied different trusts and hospices etc. now also require licensing. This presents the challenge of applying the regulations proportionately without affecting the vital work of the NHS. In 2013 the Falsified Medicines Directive (2011/62/EU) was transposed into UK law alongside the introduction of revised EU guidelines on good distribution practice. One aim of the Falsified Medicines Directive was to increase transparency in the supply chain, including regulating the export of medicines to countries outside of Europe and providing a framework for the oversight of medicines brokers. 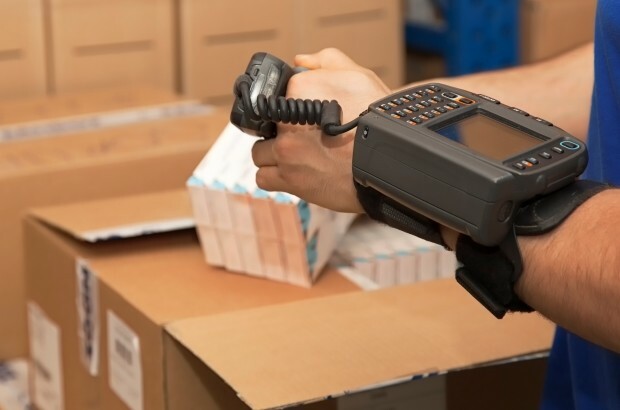 The FMD continues on its path through the European Commission with the introduction of safety features and points of authentication in the supply chain to provide assurance to patients of the authenticity of medicines. The GDP inspectorate is 1 of 5 interconnected inspection teams that cover all aspects of drug development, manufacture and supply. The GDP inspectorate is comprised of 2 operations managers, 5 senior inspectors and 8 inspectors with incredibly diverse skill sets and knowledge. The inspectorate team works alongside enforcement officers, lawyers, policy experts and scientific specialists in addition to a dedicated inspectorate support team. Working closely with colleagues in Enforcement, GDP inspectors provide support at sites where illegal procurement of medicines is suspected. This work recently led to the suspension of 3 wholesale dealer’s authorisations, all of whom were illegally procuring high value medicines for reintroduction into the wholesale supply chain. Medicines Directorate (VMD), Health Products Regulatory Authority (HPRA), Home Office, The General Pharmaceutical Council (GPhC), other international regulators through PIC/s and trade associations such as the British Association of Pharmaceutical Wholesalers (BAPW). I am Peter Blundell, one of the senior GDP inspectors and I joined MHRA nearly 3 years ago. I had previously worked in the pharmaceutical industry for 30 years gaining experience of retail pharmacy and pharmaceutical manufacturing before joining a major pharmaceutical wholesaler. My career rapidly progressed in operations management before moving in to a head office environment where I ultimately became the Head of Regulatory Affairs and Quality Assurance for the retail pharmacy division. During these years I was the Responsible Person for a number of group companies and was instrumental in identifying some of the recent falsified medicines, working closely with MHRA, so the opportunity to join the agency was too good to miss. Our primary role is to carry out inspections to assess compliance and to evaluate potential risks in order to protect public health. As GDP inspectors we are home-based but will cover all of the UK rather than being assigned to a specific geographic area. We are allocated a number of inspections each month, which then involves inspection planning – looking at previous inspection histories or applications, contacting licence holders and arranging travel and accommodation. Inspections can be wide and varied ranging from large global distribution companies to small virtual operations and everything in between. I particularly like the variety as no day is the same and I get to meet some great people and businesses. The transition from industry to regulator has really been one of a change in mind-set as identified by one of my mentors i.e. ‘ identifying deficiencies rather than inefficiencies’, but I like to think my industry experience helps me relate to the challenges we share with licence holders and responsible persons. Each inspector will conduct the inspection using a standard inspection framework comprising of an opening meeting, site inspection and a closing meeting which gives us the opportunity to offer further advice and guidance and build on the interpretation described in the Green Guide. Post inspection we will confirm any deficiencies found in writing, review the responses and work with licence holders to reach a point where we are happy with the level of compliance in order to issue a Certificate of Compliance which is uploaded to the Eudra GMDP database and issue a copy of the report. On the rare occasion critical deficiencies are found then these are referred to the Inspection Action Group for consideration of regulatory action. In addition to this we can be conducted for cause inspections, unannounced inspections, joint inspections or accompany colleagues from enforcement on inspections or other regulators. Life as a GDP inspector to date has been a rich learning experience supported by the dedicated staff and teams we work with. Why not take the opportunity to meet your GDP inspectors at the GMDP Symposiums in London and Glasgow or at the Pharmacy Show in Birmingham in October. GDP Symposium - 12 January 2016 (featuring London GDP symposium content. implementation of GDP for general sale list (GSL) wholesalers. Your feedback and comments will help us make this blog as useful as it can be. We always want to hear from you, so please feel free to leave a comment below or e-mail inspectorate@mhra.gsi.gov.uk if there is anything you would like us to cover in future GDP posts. Don’t miss the next post, sign up to be notified by email when a new post comes out on the Inspectorate blog. Thank you for giving us an insight into the life of an inspector. That’s a really good presentation of Good Distribution Practice and of the people whose job is related to it. GDP is a really interesting field and a person can learn many useful things from it. If someone’s interested in it, they should also get to know the new EU Guidelines 2013/C 343/01, too.